I just got back from a long weekend up north visiting friends. I started in Boston and went up to Montreal. If you ever go, there are 2 items I need you to try. You’ll hate me for introducing them to you because you can’t get them here in Florida, no matter how hard you look. About 5 years ago on a previous trip, I dropped into a little convenience store to get a bottle of water or a pack of gum. When I got to the counter, I looked at a little basket of cheese it looked like someone forgot to put in the cooler. Then I saw the same thing a day or two later. I grabbed a bag. It’s called squeaky cheese because when you bite into it, that’s the sound it makes. It’s cheddar so fresh, they don’t refrigerate it. I think it’s mostly used for poutine, but I just eat the curds straight out of the bag. They are so so good. The closest thing I’ve found to them in Florida is at Mazzaros in St. Pete. But it’s not the same. Theirs are refrigerated. There’s a big difference. The other thing I go on the hunt for as soon as I cross the border is ketchup chips. It’s a popular flavor in Montreal so you have to look for a specific brand. Look for Old Dutch. In Florida, Herr’s makes a ketchup chip that you’ll see from time to time, but they’re just not the same. 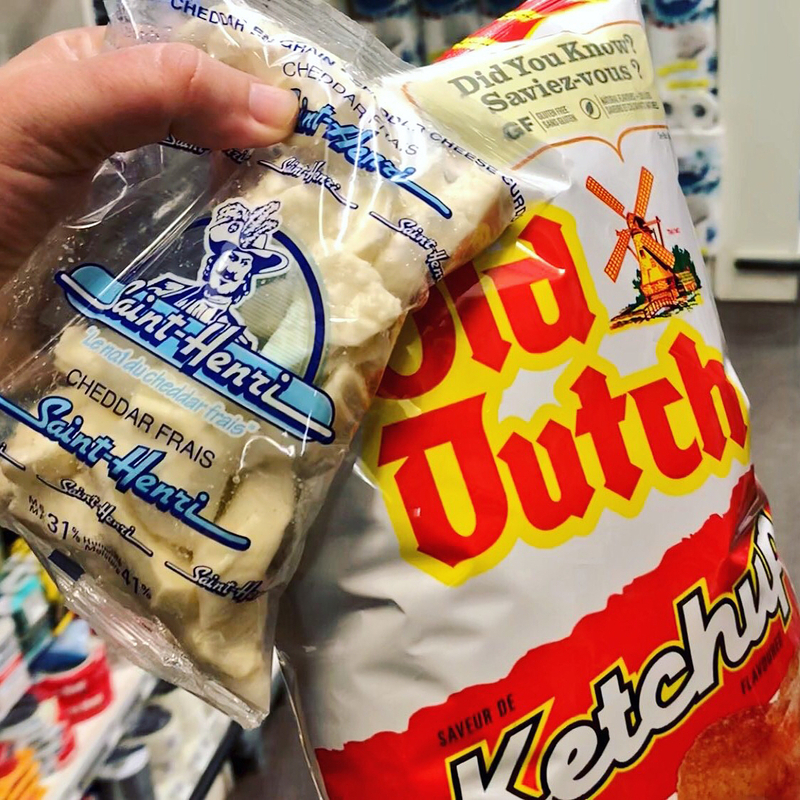 One loophole… if you’re ever in Maine during the summer months, Old Dutch ships bags down under a different name “Humpty Dumpty.” Those are Old Dutch chips, so grab a bag!